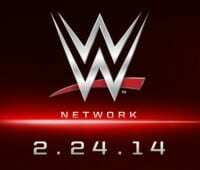 WWE: UK launch of WWE Network delayed again! The WWE Network has been plagued with problems since its launch earlier this year, making it understandable why WWE took two years to unveil the Network and, while the WWE Network is finally working properly in the United States, the United Kingdom has had the promise of the WWE Network taken away from them for the second time this year. With mere minutes to go before the official launch of the WWE Network in the UK, the Wrestling-Online Newsletter is reporting that WWE has delayed the UK launch until “further notice”. After the WWE Network launched in the U.S. back in February, WWE stated that the UK would receive the Network on October 1, but WWE would delay the Network until November 3. Now WWE has put the “further notice” stamp on the UK launch date, leaving a lot of unanswered questions and angry UK residents. While WWE has not revealed the reason behind the delay, there is speculation that WWE’s main UK broadcaster, BSkyB, objected to the UK launch of the Network due to it costing the broadcaster pay-per-view revenue. A similar situation happened before the U.S. launch of the WWE Network with satellite providers like DirecTV and DISH Network refusing to air WWE pay-per-views and lose out on the money. The difference is that the Network problems in the U.S. occurred during the infancy of the WWE Network, but now that the numbers have shown how much money WWE has lost on the Network, it’s not hard to imagine that WWE is trying to work out a deal with BSkyB so they don’t lose out on even more money. Whatever the reason, there is currently no confirmed launch fate for the WWE Network in the UK and there’s no telling when WWE will be able to successfully launch the Network in the UK. What do you think of the UK delay? Post your comments in the box below.